Background: Early Childhood Caries (ECC) is a serious public health problem in developed as well as developing nations, with high prevalence among children around the world. Aim: This systematic review of the national literature was undertaken to document the prevalence of Early Childhood Caries experience. 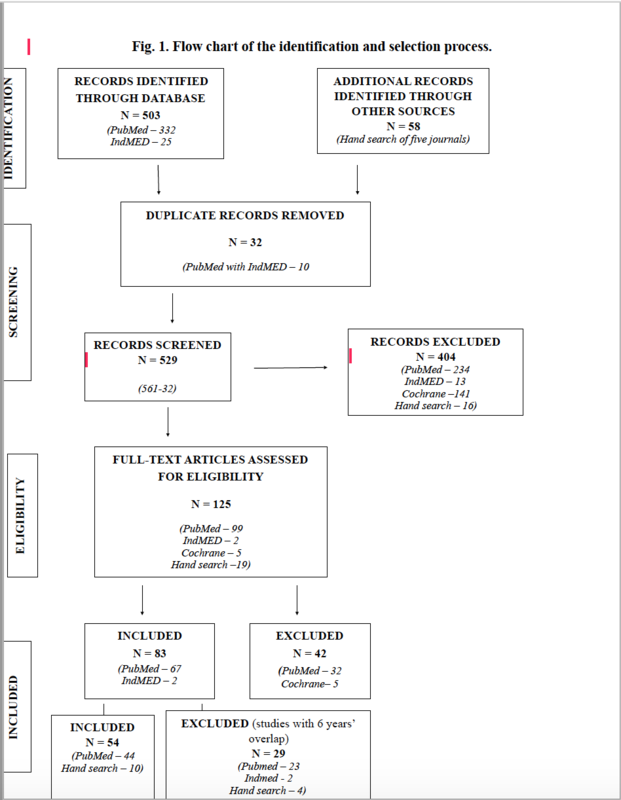 Methods: Studies evaluating the prevalence of Early Childhood Caries (ECC) in the Indian population were investigated. The method under evaluation was the use of a caries experience index to calculate the prevalence of ECC. An extensive literature search was done in the following databases: PubMed, IndMED and Cochrane up to June 2016. 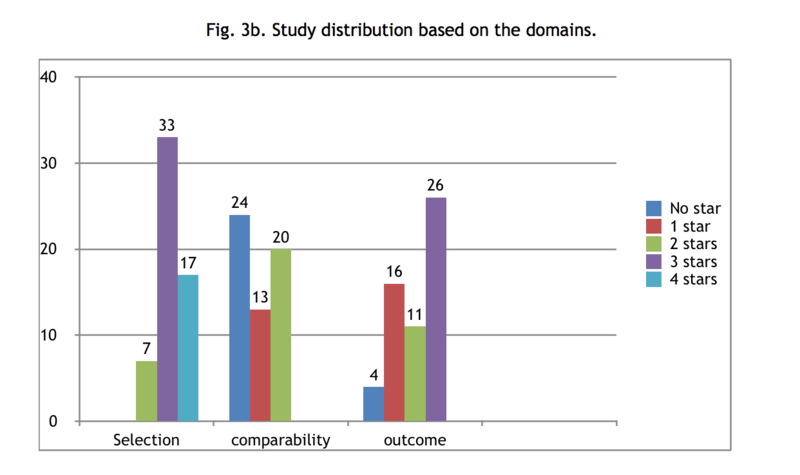 A modified version of the Newcastle-Ottawa Scale for cross-sectional studies was used for assessment of the quality of the studies. Results: A systematic literature search yielded 503 publications from the various databases searched. 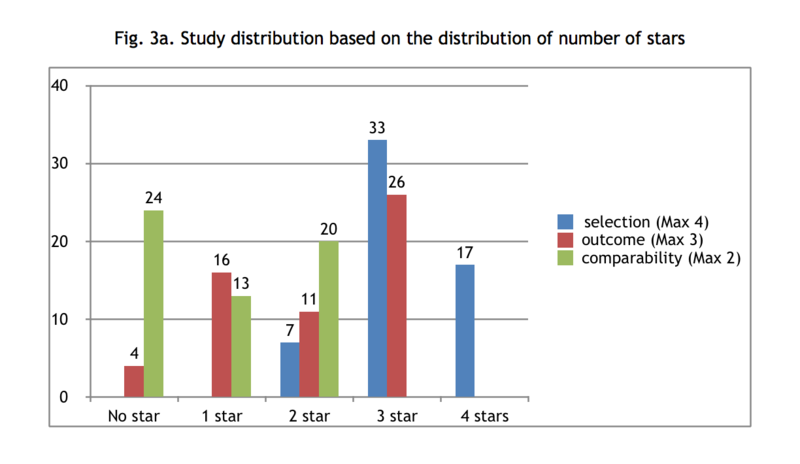 Based on the inclusion and exclusion criteria, the final number of included studies was 54. Among the included studies, 19 studies were carried out in the state of Karnataka. 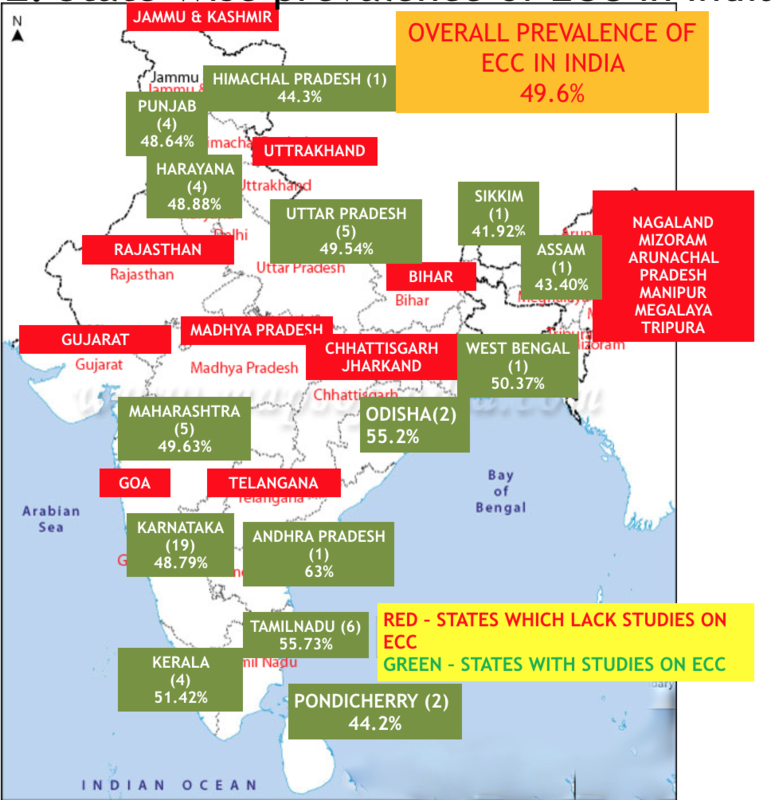 Analysis of all the included studies revealed the overall prevalence of ECC in India to be 49.6%. Andhra Pradesh was found to have the highest prevalence of ECC, at 63%, and the lowest prevalence was reported in Sikkim (41.92%). Conclusion: This review has reported a high prevalence of ECC in India. None of the states reported a prevalence below 40%. The government should identify this as a national priority which requires significant attention.